To give RD an incentive to do all in his power to speed up the process of selling CAFC. Opinions differ as to the reason(s) for the delay, but there is nothing to suggest RD is pulling out all the stops to get this sale over the line. Many feel his actions this summer have devalued the club substantially, and potentially made a sale even more difficult. To a man of his wealth, the expenses associated with owning Charlton really are just pin-money, and ROT’s suspicion is that his main objective is to achieve a sale which he can spin to his cronies as “clever old Roland has found a way to make money out of football” in order to massage his ego (stop sniggering at the back!) even if it actually costs him more to do so. ROT wants to change his priorities by highlighting aspects of his past public life which, while probably legal, do not show him in a particularly good light, thus tarnishing his reputation, embarrassing him, and attacking his ego. For obvious reasons we are not listing all these shortcomings on a public web-site! However for starters you may like to try this quiz which was (in Flemish) on ROT’s first electioneering leaflet – answers will be posted later. When Roland Duchâtelet stood in the 2006 Sint-Truiden municipal election for Vivant, where was he living? What was STVV’s debt when Roland Duchâtelet bought the club in 2004? When Schepen Roland Duchâtelet bought Staaien from the city in 2009, how much did he pay? How much was the debt to be repaid to Roland Duchâtelet after he transferred his STVV shares to his life partner Marieke Höfte in 2011? Roland Duchâtelet owned Standard Liege for 4 years (2011-2015). How much did he take from the club in dividends? Hoeve Blavier was listed as a building of historical interest in 2009. How much of it survives in ‘t Hof Van Stayen in 2018? What was donated by AGOST member Bert Lammens to the council when they voted on an agenda item relating to AGOST in 2011? Roland Duchâtelet suggested that Belgium should become a part of which other EU country? What was the name of Roland Duchâtelet’s failed internet TV company? In 2013 the socio-economic permit was issued allowing how much new commercial space at Stayen? Roland Duchâtelet installed a new football pitch for top-level football at Stayen, what type of surface was installed? Who owns the football pitch at Stayen? If you are not already a member, please consider becoming a ROT supporter. Membership costs £10. See http://www.rolandouttoday.eu/Membership/ for more details. Anyone else want to try the quiz? What have we got out of 12? Roll up, roll up! One hour left to get in your answers! 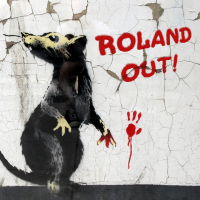 And meanwhile, if you have not already done so, please have a look at ROT's website, http://www.rolandouttoday.eu/ and consider supporting this protest by joining ROT. Joint first with @cafcwill and @Pedro45 . Congratulations. 1…When Roland Duchâtelet stood in the 2006 Sint-Truiden municipal election for Vivant, where was he living? (a) Antwerp - He was allowed to stand because he owned a house at Staaien, right next to the stadium of STVV. 2…What was STVV’s debt when Roland Duchâtelet bought the club in 2004? 3…When Schepen Roland Duchâtelet bought Staaien from the city in 2009, how much did he pay? (a) €551,500 - To put this in context, it was the price of a large house in the area. 4…How much was the debt to be repaid to Roland Duchâtelet after he transferred his STVV shares to his life partner Marieke Höfte in 2011? (c) €7m, over 7 years - At the time of sale it was implied that the debt had been written off, but this was subsequently disproved. RD was being paid off from TV rights, player sales, and a % of ticket money. 5…Roland Duchâtelet owned Standard Liege for 4 years (2011-2015). How much did he take from the club in dividends? (d) €30m - Taken in 2 parts, €20M as a “tax efficiency measure” in 2013 and €10M, to be paid in 10 instalments over 3 years, just before the sale went through in 2015. He also took a salary of €5M while he was owner. 7…What was donated by AGOST member Bert Lammens to the council when they voted on an agenda item relating to AGOST in 2011? 8…Roland Duchâtelet suggested that Belgium should become a part of which other EU country? 9…What was the name of Roland Duchâtelet’s failed internet TV company? 10…In 2013 the socio-economic permit was issued allowing how much new commercial space at Stayen? 11…Roland Duchâtelet installed a new football pitch for top-level football at Stayen, what type of surface was installed? 12…Who owns the football pitch at Stayen? (d) Marieke Höfte - She owns the whole Stayen complex. Since Marieke Höfte and Roland Duchâtelet are not married, Belgian law regards her as a totally independent person, thereby freeing RD from being in a position of illegal conflict of interest when he was a Councillor and the Council was making decisions about Staaien/Stayen and Hoeve Blavier. And I look really dumb as the answers were posted before mine. Doh! If you are shocked by some of these answers, you are not alone. So are many people in Sint-Truiden, when the facts are brought to their attention.